The training arm of Happy Marketer and Maxential, combine their strengths to create FutureMarketer. FutureMarketer intends to offer digital marketing learning programmes that help business leaders and marketing practitioners to improve their skills in a digital age. Taru Jain, Founder & CEO of FutureMarketer and Rachit Dayal, Founder & Partner of FutureMarketer, state that there is a lot to be done since, according to Forrester, only around 15% of business executives believe they have the confidence to execute their digital strategies. The team behind FutureMarketer also runs the Google Partner Academy, which has helped marketers become certified in Google AdWords, YouTube Advertising, and Google Analytics. Over the last 7 years, the team behind FutureMarketer claims to have trained more than 15,000 executives across 35 countries in Asia, Europe and North America from mostly C-level and senior roles. FutureMarketer is said to combine Maxential’s experience in coaching leaders on digital transformation with Happy Marketer’s expertise in digital training for marketing practitioners. AdAsia wishes FutureMarketer a bright future indeed and hope to see many well trained digital marketers emerge from its programmes. 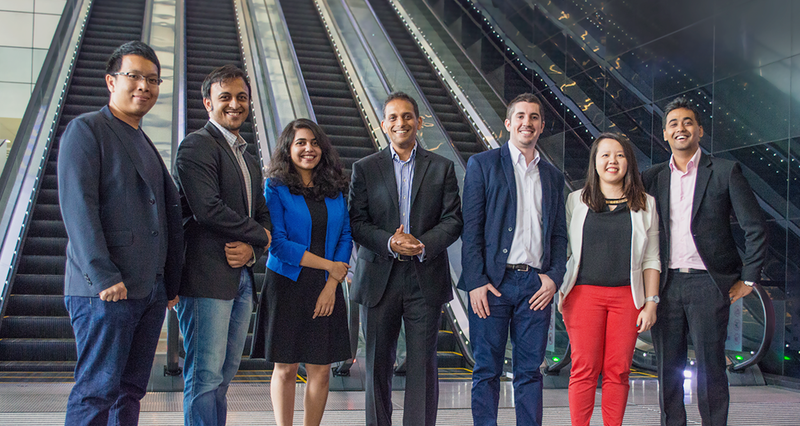 The FutureMarketer Team (left to right): Colin Pang, Senior Consultant; Prantik Mazumdar, Founder & Partner; Damini Roy, Associate Consultant; Taru Jain, Founder & CEO; Joe Escobedo, Head of Brand Communications; Rina Loh, Associate Consultant and Rachit Dayal, Founder & Partner.